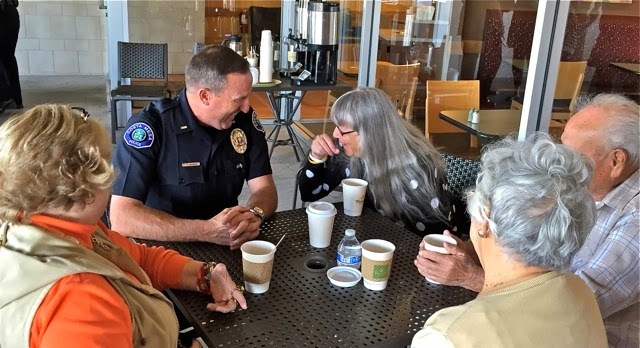 COFFEE WITH A COP - AT NIGHT! 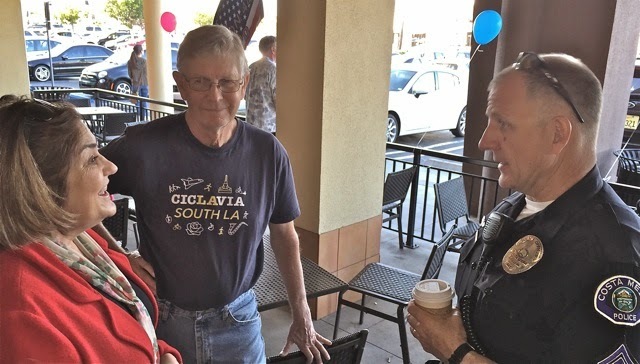 Wednesday evening, from 5-7 p.m., several members of the Costa Mesa Police Department met with members of the public at Panera, on East 17th Street in an informal setting to just sip some free coffee and chat. 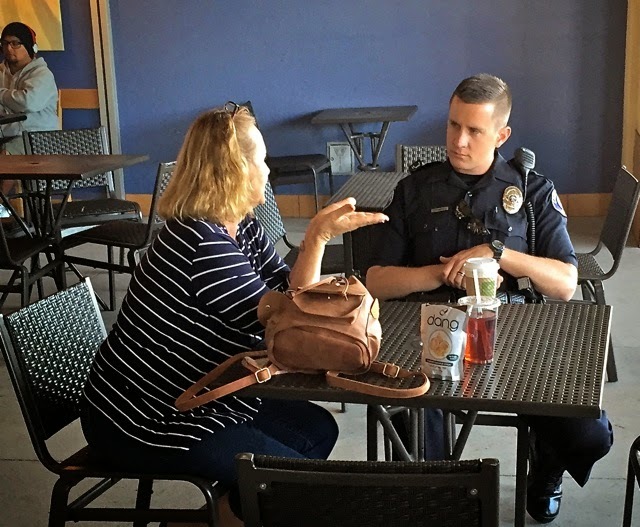 The evening was cool, but the venue seemed just right as the front patio at the store provided an excellent opportunity to sit or stand and discuss issues with the officers. My sweet and very patient wife and I attended this gathering and were there for most of the time before adjourning inside for a nice, light dinner. We departed as the officers were wrapping it up and the residents were making their way to the parking lot. I didn't do an official headcount, but for the 90 minutes were on site I estimate at least three dozen people, including former council members Wendy Leece and Jay Humphrey, stopped to talk - probably more. 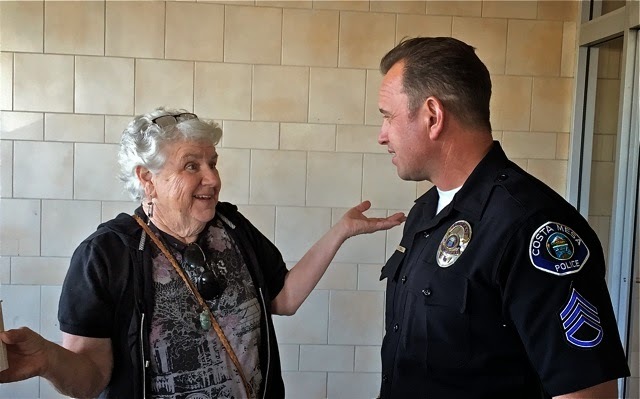 This event was the most recent such opportunity residents have had to meet with members of the Costa Mesa Police Department in a casual setting to discuss important issues with them. 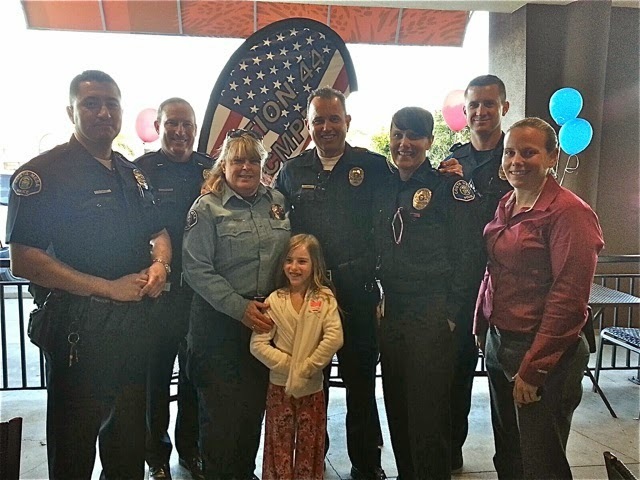 And, this is the first evening event, so most of the officers present had just gone off duty before arriving. For most it was their first event. Thanks to the men and women of the CMPD for taking the time to meet with those of us they've sworn to protect and serve. We hope there will be more such events in the future. 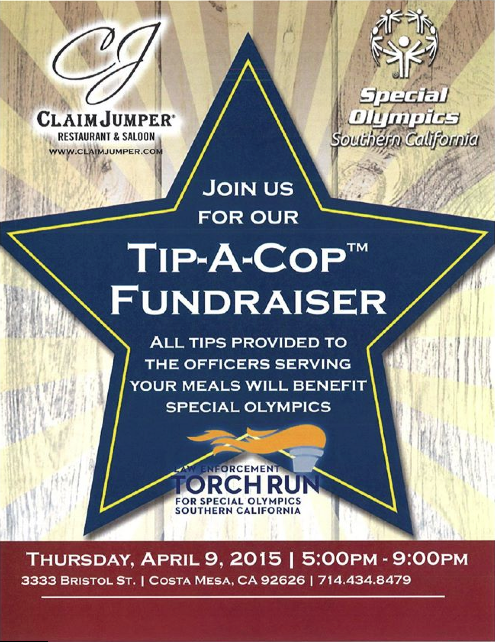 And, speaking of "serving", Thursday night, April 9th, is the most recent "Tip-A-Cop" event at the Claim Jumper at 3333 Bristol Street from 5-9 p.m. You can read the announcement about it below. 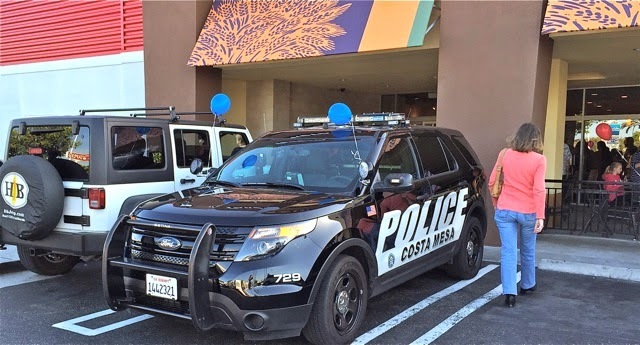 Here's another chance to have a meal served to you by some of Costa Mesa's finest and contribute to the Special Olympics, too. Thank you CMPD for the outreach! Your outreach efforts are low-budget ventures, and benefits our community, while the council majority likes parties for VIP's and "Balls" that benefit their pet projects. All the while those self-proclaimed conservatives are sucking our coffers dry by using attorneys, the CEO budget, and Public Relations to cover their transgressions. We are paying for their partying with our safety. It Has To Be Said: and it will get worse once Station 6 is closed. Since you mention it, what is the latest info with the fire departments plan for all the changes? The last part time chief came up with all kinds of things that was going to make the department better, but have any of those things happened? Yes. The plan included the CMFD transporting victims instead of using the current contract company, CARE, to do so. CARE is a big campaign contributor, so that element has been delayed, so the revenue from the transportation part is not there. 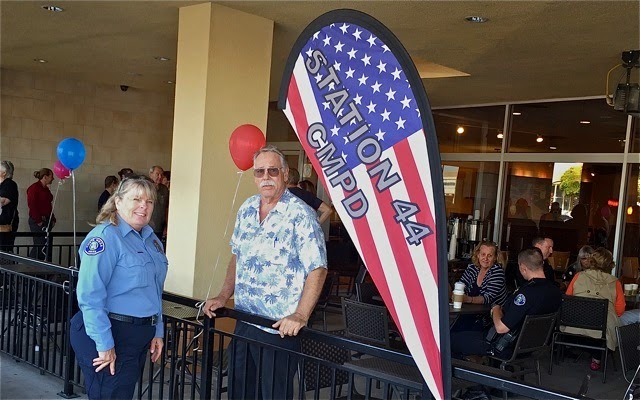 And, as has been mentioned before, the closure of Station 6 - our newest, which resides on donated land - is still pending. Not sure how that's going to sit with the folks planning high and mid-rise developments nearby - including the person who donated the land. 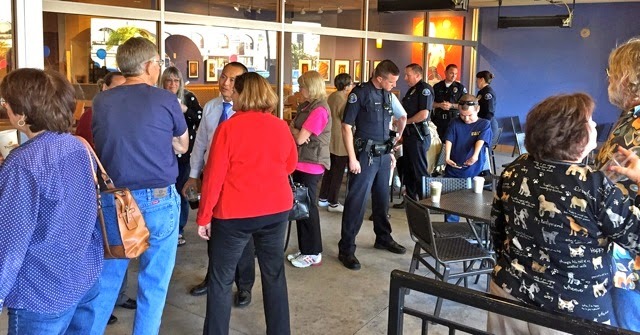 Once again, politics before the public in good old Costa Mesa. As I understand it, Station 4 previously had only 3 personnel. Now that has been rotated out and they now have 4, but Station 1 now has only 3. This is a very bad because when Station 1 gets a medical aid call, they have to call another person from another station to assist. Mesa Verde has a good share of medical aid calls. Good luck you guys.